Engine rebuilds have never been easier with our - "We Ship-It Service" program. 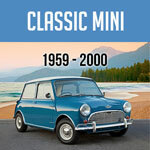 Team Mini Mania has been building street and racing Mini Cooper engines and transmissions for the last 40+ years. Now, we make it easier than ever for you with our "We Ship-It Service". 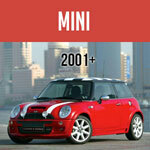 Our Engine Shop offers a complete range of services, from complete race powerunits built to your specs to rebuilt street engines in any size for any year Mini, Mini Cooper or Mini Cooper S.
Our "We Ship-It Service" also allows you to have your own 850cc, 998cc, 1098cc or 1275cc engine and/or transmission rebuilt with same expertise we use in building complete engines. Use Your Engine to Lower Your Costs! A huge part of the cost of Engines has been finding units to rebuild! Using your own engine almost always lowers the cost, and might keep your car original!The process to simply 'freshen'* you motor could be as simple as honing the block for a new set of rings, new crankshaft bearings, doing a 'valve job' on the cylinder head, a new set of synchros in the transmission and a new clutch. * Please note that accurate cost can only be determined after the engine has been disassembled and inspected. 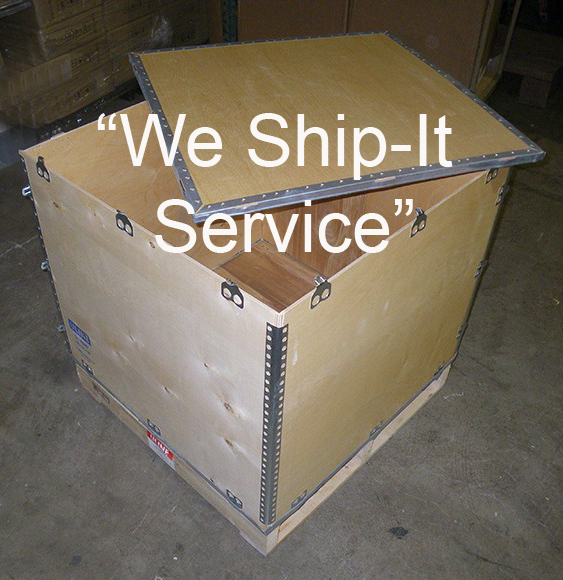 Our "We Ship-It service" will send you a wooden crate that you snap together. You then bolt your powerunit into the crate. 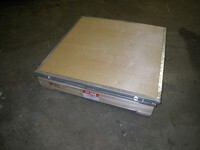 We arrange for pick-up, refresh the unit as required, and return it to you in the same crate! We will then arrange to have the empty crate picked up and returned to us. Give our experts a call! We can usually give you a good idea what to expect. 1. Call us at 800 946 2642 to arrange for a "We Ship It" engine crate to be delivered to your location. 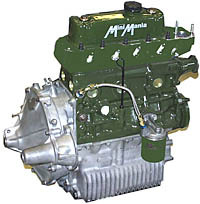 You box-up your engine trans with crate and hardware we provide. 2. We schedule a pick-up from your location to ours. Basic rings and bearings, seals & valve job, etc. Complete stock rebuild with transmission rebuild, Cylinder head & new pistons, camshaft, etc. High Performance rebuild with all the best stuff. 4. Our program will have your engine picked up and delivered to us at no expense to you. You will be responsible for shipping the engine back to you whether or not you decide to have the rebuild completed or not. You will be charged for a crate charge if the crate is not returned. We Also Rebuild SU Carburetors, Cylinder Heads and Transmissions. Call to order your CRATE today!